A team of researchers at the University of St. Andrews has developed a way to create light from human white blood cells. For the first time, the team used resonators small enough that they were able to fit inside the cell itself. The experiments began with introducing fluorescent jellyfish proteins into human cells. Now, the cells were given a microresonator, and a fluorescent dye which reacts when struck by light. These form an interior bubble. The cell then begins refracting the light at different wavelengths depending on the size of the bubble and refractive index. The process can be performed on a large number of cells at a time. The light also radiates for long periods of time, which can help scientists track living cells over the course of weeks. 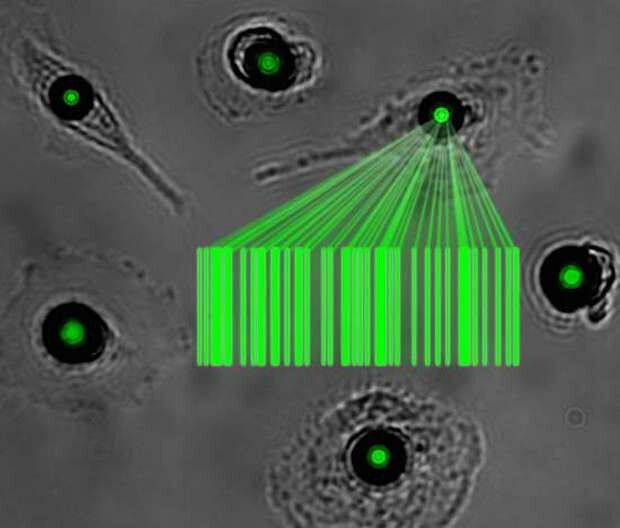 It can be useful in watching tumors grow, and aid in adaptive imaging. So far the research has been limited to cells in a petri dish, but scientists are hopeful that the process can be extended to living cells within humans and animals. The word "laser" is an acronym for Light Amplification by the Stimulated Emission of Radiation. Lasers are the most powerful form of light created by humans. The world's most powerful laser is as powerful as a hydrogen bomb. Laser tag, a well-known family activity, was originally created as a non-lethal training program by the United States military in the 1970s.